A trial group of 14 patients with NF-2, ages 14-79, had their hearing restored after four trial periods with the anti-cancer drug Bevacizumab. Researchers from the Johns Hopkins Medicine released the results of the collaborative study in March 2016’s Journal of Clinical Oncology. Dr. Jaishri Blakeley, director of the Johns Hopkins Comprehensive Neurofibromatosis Center and associate professor at the Johns Hopkins University School of Medicine, participated in the study. “Our study shows that the hearing loss suffered by at least a subset of these patients isn’t permanent and that there is hope of reversing it,” Blakeley said. Bevacizumab is normally used with the treatment of colorectal and lung cancers and eye diseases such as macular degeneration. This time, researchers chose this drug because it reduces the levels of the VEGF protein that creates blood vessel growth, which in turn, increases tumor growth. Over the course of 48 weeks, the patients received 7.5 milligrams of bevacizumab intravenously every three weeks. That was followed by 24 weeks of observation by the researchers. Unfortunately, three of the patients encountered side effects of the trial period: two encountered increased high blood pressure and one had issues with excessive bruising and bleeding. Despite the complications of the drug, 36 percent or five patients reported hearing improvement, and 12 of the 14 went regained hearing after having suffered hearing loss. In addition, none of the patients encountered further hearing loss after the study ended. Additionally, the members of the trial group had their tumors measured in an MRI before and after the trial treatment. Six of the patients had reduced tumor size after the trial treatment, but the tumors didn’t necessarily influence their hearing improvement at all. Despite the cost $5,000 per person in the study and the potentially severe side-effects of the drug, this trial lays the foundation for future research. During 2015 and 2016, the CDMRP has made significant contributions to NF research. The main highlight of 2015 was the use of fruit flies to develop new drug therapies for NF-2 patients. In early 2015, Duojia Pan, Ph.D., and his research time from of Johns Hopkins University led a study in fruit flies regarding the mutation of the Merlin gene, the main contributor of NF-2. Interestingly, the fruit fly has similar genetically conserved genes to humans and Merlin is one of them. From this research, they discovered that mutations of the Merlin gene are linked to the Hippo pathway that is linked to the development of cancer. Results from this research will be used to develop effective therapies for NF-2 patients. One of the highlights of 2016’s CDMRP research funding comes to the NF community from Doctor Karen Cichowski, of Brigham and Women’s Hospital located in Boston. Through the use of a mouse model, Dr. Cichowski and her team found the PI3K-mTOR Complex 1 (mTORC1) signaling pathway that creates the malignant peripheral nerve sheath tumors (MPNSTs). The MSPSTs are the most aggressive tumors and cause a high death rate for those NF-1 patients who develop them. Currently, there are some therapies that target specific signaling pathways that lead to tumor development. From the information gained about the PI3K-mTOR Complex 1 (mTORC1) signaling pathway, it can be targeted for therapy. Dr. Cichowski and her team proposed a mouse model to discover the pathways that lead to the development of MPNSTs. Also, she wanted to see the effectiveness of combination therapies. From these studies, information could be translated to human patients. The combination of mTORC1 and MEK inhibition drugs has proven they are effective in the regression of both malignant and benign tumors. In the mouse model used in the research, researchers observed a 50 % reduction of tumors and of those tumors, 78% of them shrank in size. Dr. Cichowski will continue her research that will have a positive impact on the lives of NF patients. Information obtained from these studies will soon be used in clinical trials for NF patients who suffer from MSPNSTs. These two research breakthroughs are reasons why NF research funding by the CDMRP are crucial. From them, research teams and scientists are developing therapies from their results. With their research efforts and continued funding, perhaps their hard work will pay off in a cure for NF. In October 2015, the Department of Defense approved nearly $6 million for continued bone fracture repair research. President and CEO, Mauro Ferrari, Ph.D., along with Center for Biomimetic Medicine and scientific director of the Surgical Advanced Technology Laboratory Director, Ennio Tasciotti, Ph.D., both of Houston Methodist Hospital, led in the collaborative effort for this particular medical technology. The target group for this technology and research was soldiers who suffered from blasts and war-related injuries. With this continued funding, scientists at Houston Methodist Hospital will be able to use modern technologies to assist in the mending and healing broken bones. The bones targeted in this research are the longer bones such as the shin or leg bones. These particular bones often require many multiple surgeries that can include placing rods or screws in the legs, and in some case(s), even amputations. One of the biometric materials is made of a synthetic and non-toxic, biodegradable polymer (L-phenylalanine-based polyester ureas or PEU) for structural integrity and mechanical stability and the second is made of natural biomineralized collagen to incite growth of bone cells and speed the healing process. Together they act as a bridge or scaffold between the two broken or fractured bones and encourage bone regeneration. This way, there is no need of screws, plates, or rods in the bones. “We designed the materials to mimic natural, healthy tissues, so the scaffolds are not rejected by the body’s immune system and guide the injured tissues to heal better and faster,” Tasciotti said. The discoveries made here will be able to be translated to NF patients because many patients face bone issues. Many patients have to undergo multiple surgeries, doctors’ visits, and the monetary cost of this can run into the thousands of dollars. The discoveries that have been made through the funding of this research will lead to fewer surgeries. “Over the next three years, we will lead our biomimetic scaffolds through the arduous process of moving from the lab to first-in-human clinical trials.” Tasciotti said. As the research progresses, not only will soldiers with war-related injuries benefit, but also people who suffer from osteoporosis, diabetes, and Neurofibromatosis. 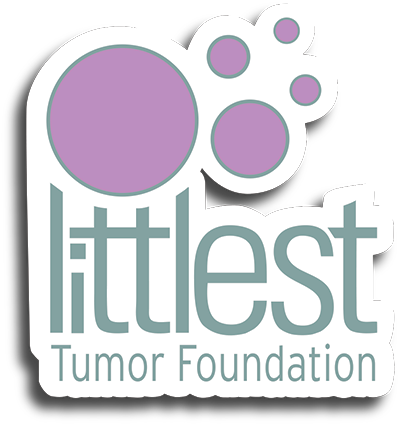 The Littlest Tumor Foundation spearheaded an NF Collective Impact Initiative that launched December 4th, 2015. Nine organizations have come to the table to scale impact on advocacy and the NF Registry. The Collective to date has elected a chair, drafted a charter, and made progress on impact goals. The initiative is building an arena of knowledge on all things NF. Currently, the initiative includes Advocure NF2, Children’s Tumor Foundation (CTF), Littlest Tumor Foundation, Neurofibromatosis Northeast, NF Midwest, NF Network, NF Upper Midwest, Texas NF, and The NF Team. Stuart Gilkison was diagnosed with Neurofibromatosis Type 1 (NF1) at a young age. His physician had just attended a seminar through the National Institutes of Health (NIH) on NF, leading him to put Stuart through a litany of tests, which resulted in the diagnosis. Stuart considered his case to be mild. He had a few café-au-lait spots removed that he believes are still included in a tissue study at NIH. Throughout his school years, he had some struggles with learning disabilities, and he had numerous routine checkups and testing with his neurologists on a yearly basis. 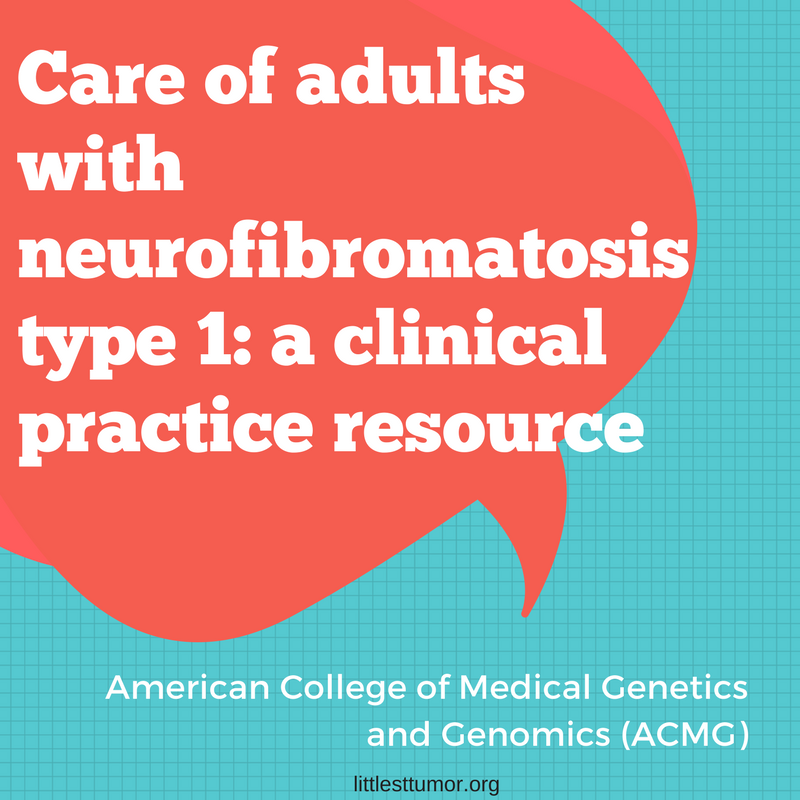 During his teenage years, the neurofibromas began appearing more frequently on his arms and mid-section, which he still considered to be a mild manifestation of his NF1. However, in his mid-30s, his vision began to be affected from a right frontal meningioma that had to be surgically removed shortly after diagnosis. He has since had a second surgery to remove his post-surgical hardware due to infection. He also has seen his neurofibromas increase in number, including many in his small intestine, causing chronic intestinal pain. Despite his chronic pain, Stuart is actively involved with two NF advocacy organizations: The Littlest Tumor Foundation out of Appleton, Wisconsin and the Meningioma Mommas out of Littleton, Colorado. He feels very “fortunate to have found local and smaller organizations that would help kids in a way” that wasn’t available to him when he was growing up. Meningioma Mommas, even though not limited to NF advocacy, has offered Stuart the chance to help others with their brain tumor journey and link with other individuals with NF. He also has a family foundation that has helped to support the Littlest Tumor Foundation. During application review, he was able to “draw from personal, as well as past professional experiences to add input on the proposals at hand.” Stuart had a unique perspective while serving as a consumer reviewer, as he is a person actively living with the disease. While reviewing proposals, he found that they stirred up a lot of emotions, but those emotions were what allowed him “to be fully invested in the process of grading the applications.” Stuart feels that these emotions will be the impetus to drive other consumers living with NF to participate in the review process. Prior to working with NFRP, Stuart didn’t have much faith in the scientific community and their attempts at lessening the clinical impact of NF. But after his experience, he described it as “refreshing to be able to sit with professionals that have dedicated their lives to trying to solve the NF puzzle” that he deals with on a daily basis. 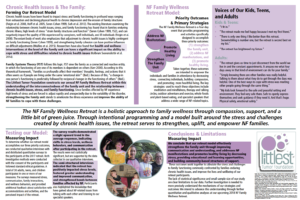 Stuart is very excited by the direction NF research is heading, especially since the proposals are not only geared toward the medical aspects of NF, but also the overall quality of life of those affected by NF. In addition to his advocacy work, Stuart utilizes his Master’s Degree in Rehabilitative Counseling as he runs a healthcare consulting firm in Madison, Wisconsin, which includes providing expert witness testimony in court related to disability and employment. Outside of work, Stuart enjoys taking improvisation classes and spending time with this wife of 21 years, Jessica, and their daughter, Piper. Dr. Packer received his medical degree from Northwestern University’s Feinberg School of Medicine. He is a key figure in the innovative care of children with brain tumors. He is the head of the Brain Tumor Institute and the Gilbert Family Neurofibromatosis Institute at Children’s National. Dr. Packer has conducted leading research into neurological disorders of children, the impact treatment has on neurological and cognitive outcomes–including those children treated for cancer–and ways to avoid or reduce treatment-related neurologic chronic conditions. He has led multiple studies on a national and international level for a variety of childhood brain tumors. In addition, Dr. Packer has worked diligently in leading neuro-oncology investigations, demonstrating that neurologists should carry a leadership role on interdisciplinary teams. This list is but mere highlights of the CDMRP’s NF research program. To learn more, READ MORE HERE. Dr. Bruce Korf is one of the most recognized and celebrated names in NF medical history. Currently, he is Chair of Genetics Department at the University of Alabama-Birmingham and works with NF patients and their families. Prior to his tenure at Alabama, Korf was associate professor at Harvard University for over twenty years. In 1999, he was elevated to Medical Director of the Harvard-Partners Center for Genetics and Genomics. “The CDMRP has been a critical force in helping to advance both clinical and basic science research on neurofibromatosis. It has funded research that has helped reveal basic mechanisms of NF1, NF2, and schwannomatosis, stimulated the development of animal models for testing new therapies, and has enabled the development of a clinical trials consortium. The CDMRP has been a major source of hope for patients and families dealing with the various forms of NF and undoubted has accelerated the efforts to find effective treatments.” Bruce R. Korf, M.D., Ph.D.
Dr. Gutmann is the director of the Washington University NF Center in St. Louis and a Donald O. Schnuck Family Professor of Neurology. He got his medical degree from Michigan University. At the NF Center, Dr. Gutmann works with NF individuals and their families to find a viable treatment and ultimately, a cure for NF. To learn more about Dr. Gutmann and the Center please go to the following link:Washington University Neurofibromatosis Center. Here’s what he has to say about the Congressionally-Directed Medical Research program and its effect on NF research. Since 2007, the Congressionally Directed Medical Research Program (CDMRP)’s Neurofibromatosis Clinical Trials Consortium (NFCTC) has been working tirelessly on NF research trials and treatment for NF patients. Through research, doctors are learning more about the complexities of NF1, NF2 and Schwannomatosis. From the Consortium Operations Center in Birmingham, AL and nine patient recruitment sites, researchers are working on new drugs, with few or no side effects, to aide those with NF. Of this consortium, NFCTC developed four clinical trials for patients with more to come in the future. The present trials address the issues associated with NF-1, ranging from learning disabilities to brain tumors. By assessing these afflictions, new trials, new drugs, and potential treatments will be formulated for patients. Upcoming clinical trials will specifically deal with NF-2 issues such as nerve tumors and the effectiveness of drug therapy using bevacizumab (Avastin) and the medication imatinib mesylate (Gleevec) in patients. With adequate funding, additional trials addressing NF-2 more in depth and Schwannomatosis will begin. Through hours of dedicated research and donations, the Consortium is just one of the many ways people from the larger medical community are putting forth the effort to find a viable treatment for NF. LTF and all other like-minded foundations stand shoulder-to-shoulder envisioning the day when NF can be effectively treated because – tumors in children, we do not like them! In the article “Scientists Make Mouse Model of Human Cancer, Demonstrate Cure,” researchers at University of Texas (UT) Southwestern Medical Center have demonstrated a treatment for replicated human cancer in lab mice from beginning to end. By generating a mouse model, they were able to study how the drug therapy or genetic manipulation would affect tumor growth. One of the main researchers Dr. Luis Parada related this was the first time such research had been done with positive results. By genetic manipulation or chemical blockade using the drug AMD3100, they successfully ceased the activity receptor molecule named CXCR4 in the tumors, thus preventing tumor growth. This particular study was done in partnership with dermatologist Dr. Lu Q. Le, of UT Southwestern at the Comprehensive Neurofibromatosis Clinic. In addition, researchers from UT’s MD Anderson Cancer Center and Houston’s Baylor College also participated. This may provide relief for those afflicted with the progressive and often fatal malignant peripheral nerve sheath tumors (MPNSTs), which is associated with people diagnosed with NF. This first-of-its-kind break through, may help the millions of people throughout the world with cancer and related tumor disorders as the researchers will begin on human patients. In the article, “Study suggests antioxidant treatment may help NF1-linked behavioral issues,” links the possibility of antioxidants treating mouse models bred to imitate NF symptoms and an associated disorder Costello Syndrome. It is noted, the NF/RAS molecular pathway is the cause of many of the NF1- related behavior issues. The substance Myelin is produced by glial cells in the central nervous system and provides the sheaths on the nerves; the increase of nitric oxide will affect the protein structure in the sheath as well as surrounding cell and tissue. When this happens it will ultimately affect the brain in both mice and humans. This results in a change in optic nerves and behavior. One of the most common side effects of NF and the Costello syndrome is hyperactivity in over 60% of those diagnosed with these disorders. The study shows the link between a disrupted RAS pathway and behavior issues. There is hope though. A new antioxidant N-Acetyl Cystine or NAC has been put in the drinking water of the mice and after a six-week trial period, any abnormalities in cells or tissue and the hyperactivity stopped. Yet, the reversal of symptoms was more prevalent in the animals with Costello Syndrome, as compared to the NF mice. However it should be noted this experiment was done on both adult and younger mice; older mice had the problems reverse while younger mice didn’t have as many problems. When the same experiment was done on wild adult mice, NAC opened the blood brain barrier and damaged the myelin structure. Also it is worth noting, that because the experiments work in mice, doesn’t mean this will be extended to humans, therefore, more research will be done. Could you tell us the story about how NF research by the government came to be? Please discuss some of the landmark accomplishments made by the program over the years. The Washington University Neurofibromatosis Center has launched a unique internet-based NF1 Registry (NF1 Patient Registry Initiative) that collects information from individuals with NF1 from around the world to help physicians and researchers better understand complica­tions of living with NF1 in both children and adults. We hope that these studies will ultimate­ly inform personalized treatment strategies that will improve the quality of life for individu­als living with NF1. To sign up for the registry, go to https://nf1registry.wustl.edu/ All information is housed on a secure server in compliance with established HIPAA guidelines.